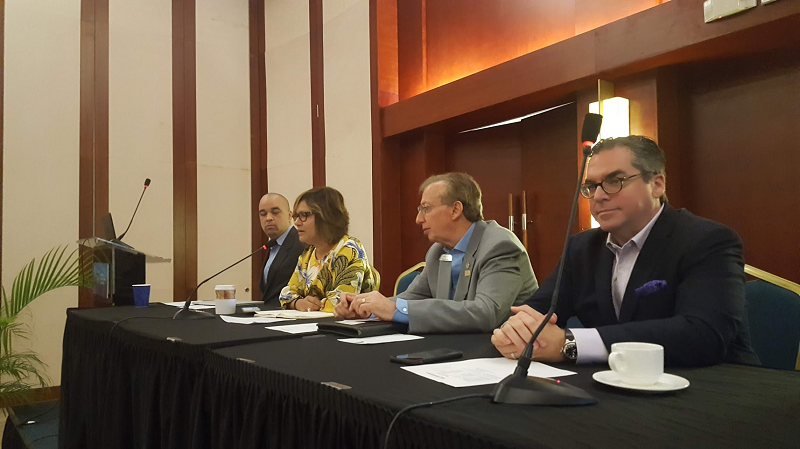 PRESIDENT of the Caribbean Hotel and Tourism Association (CHTA) Patricia Affonso-Dass believes the time has come to change the way the region is marketed to potential visitors. She said many people are moving away from the idea of visiting the Caribbean for sun, sea and sand, and are seeking a richer experience in terms of their interaction with the people and immersing themselves in the culture. She was speaking last week at the CHTA's Caribbean Travel Marketplace in Montego Bay, Jamaica. "We have an amazingly diverse and rich region and I think we have a wonderful opportunity to pivot the story in a way that helps insulate us a little bit better against the effects of natural disasters. So, when people are thinking about visiting the Caribbean, they're coming to us not just for the beach, but for the richness of the experience and the diversity of our landscape. They recognise that if they are coming to a destination and there happens to be Sargassum (seaweed) on the beach, there are a million other amazing, exciting, interesting experiences they can have." Affonso-Dass said she has polled visitors to hotels she manages, and when asked to state one reason that would make them return to the Caribbean, their response is, more often than not, the people. She said she has also recognised the need for greater education about the geography of the region. "The size of the region is also something that always surprises people – a million square miles of Caribbean sea. And when events like what happened a couple years ago (two major hurricanes) happen, it causes us to pause and think a little about what this region really is, and how we get people to realise that if something happens in one destination, that the entire region isn't wiped out – that there are millions of people across the region who are still getting up and going to work and ready to welcome guests." CEO and director general of the CHTA, Frank Comito, echoed the sentiments expressed by Affonso-Dass. "Those hurricanes affected the entire region for probably about six months. The reason is because of the perception that exists out there that the Caribbean is one place – that you can 'drive' from Fort Lauderdale in Miami from one end of the Caribbean. The geography of the region is not fully understood." In spite of the challenges, Comito said the outlook for tourism in the region in 2019 remains positive. Reply to "Tourism more than sun, sea, sand"